After careful deliberation within our organisation and in response to the terrible tragedy which enfolded in Gaza, the illegal bombardment in late 2008 / early 2009 and again in 2012, against the Palestinians we have like the STUC, TUC, Firefighters Union and other unions and companies within the UK decided not to buy goods produced in Israel until a viable peace solution is created for the Palestinians and until Israel complies with International Laws and agreed principles of human rights.. 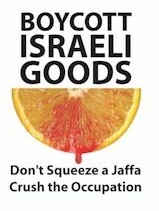 BOYCOTT EGYPTIAN GOODS - in light of the wall being built on the border of Egypt / Gaza to slowly starve the Gazans to death and very little aid entering Gaza we have decided to boycott all goods made in Egypt until the blockade of Gaza is stopped by the Egyptians. MacKlamm Limited was established in March 2000 and has opened up diverse ecommerce and information sites since its establishment. Below is a list of all current company sites. Traditional wooden toys. Our castles and forts are handmade from alder and produce superior products that have a rewarding feel. The varnishes and paints used are all environmentally friendly and child safe. Some examples of the wooden toys we have are doll houses, wooden doll family, wooden doll house furniture, monkey skittles, pull-along train and bongo drums. Data Protection Policy, health and safety policy, business start up advice Middle East market research studies, due diligence, intelligence reports, surveys for companies who would like to enter the Middle East market for their products. Self-inking stamps - Photographic quality great for pictures, company logos etc. Each stamp is pre-inked no separate pad needed. Anything you can put on a computer monitor, you can put on a custom designed, professional pre-inked stamp - text, graphics, signatures, logos, photos. Our range of rubber stamps also includes rubber stamps with inkpads and company seals. Need a larger stamp for example for a pizza box or a smaller one not in our range just email or call us we will be happy to quote you. Self-inking stamps are one of the fastest growing hobbies in the world, they provide milions of people worldwide with hours of fun and creativity. Tartan Rock ia our Scottish gift store - over 90% of all gifts sold are made in the United Kingdom and many are not found on the high street - we source gifts from all over the United Kingdom to help protect our environment and help sustain small local companies. A few examples of some of our gifts are pewter birds which are handmade in the Highlands, the Scottish maps are unique and designed by a highlander and printed on parchment paper the maps are so well detailed and some maps are in both English and Gaelic. The cufflinks and thistle metal gifts are made from decommissioned cables from North Sea oil platforms and are not only unique gifts but also part of real Scottish history.